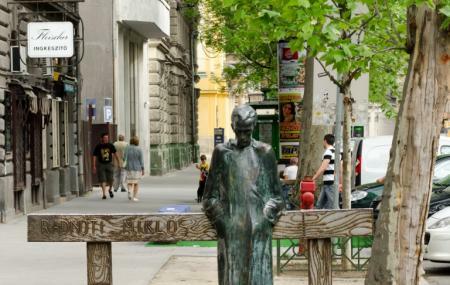 Nagymezo Utca has various main attractions of the city. It is also where you would find the who’s who of Budapest having a great time. The Operetta theatre makes it the Broadway of Budapest. There are various eateries and places that you can choose from to visit. It is a great place to mingle with the tasteful crowd of Budapest as it is often seen attending some or the other performance here. Remember to have an exquisite lunch at Pesti Diszno. You can visit the street anytime of the day. How popular is Nagymezo Utca? People normally club together Gouba and Hungarian Orthodox Cathedral Of Our Lady while planning their visit to Nagymezo Utca.